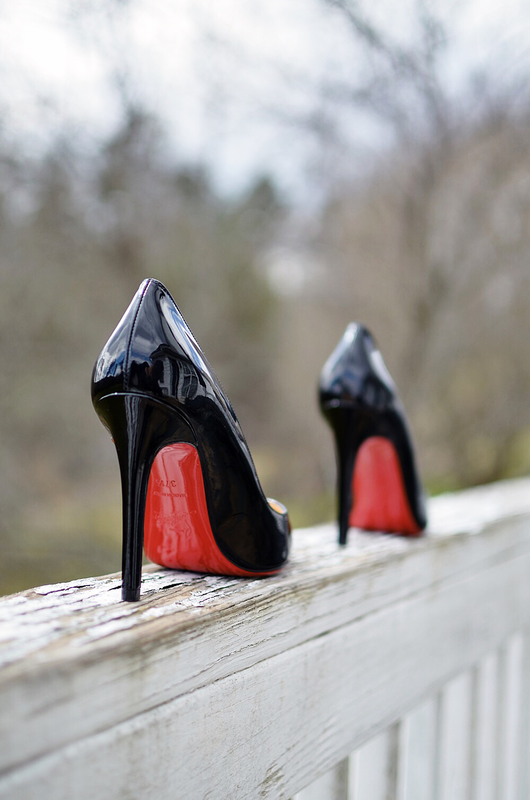 A few days ago, I accidentally scraped really bad the front part of my black Louboutin Pigalle pumps (gift from my boyfriend). I was very disappointed at me for not being careful. The cost for repairing the shoes is expensive and they only guaranteed to improve their look by 40%, and that, wasn't good enough for me (I'm very picky with my shoes). So, instead of spending extra cash on repairs, I sold a couple of pair of shoes that I haven't worn in a while and I also sold the damaged Louboutins and I acquired this pair. I decided to buy the same style but in patent leather, which by the way, it runs true to size. I love this style pump, simply because they fit just right and I don't have a big empty gap (common problem with many brands) at the back of my shoes. I can honestly say, my wardrobe is never complete until I have a proper-fitting pair of black pumps. I want to say a great THANKS to Suleka Cole from Christian Louboutin store in Atlanta, GA. She was very friendly (unlike some snobby sales representatives in many high-end stores), very informative and she also shipped these babies really fast.